Take control over a Swedish patrol boat and sink submarines! 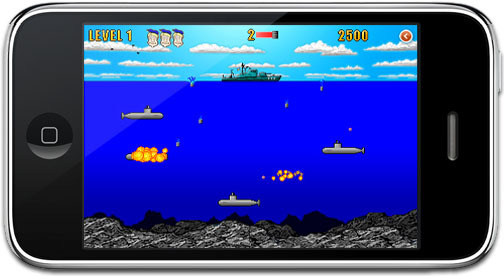 SinkSub is our classic arcade game now available on iPhone and iPod touch! The game is simple yet hard to master. Drop depth charges at the right time and place, and dodge the enemies intelligent weapons. 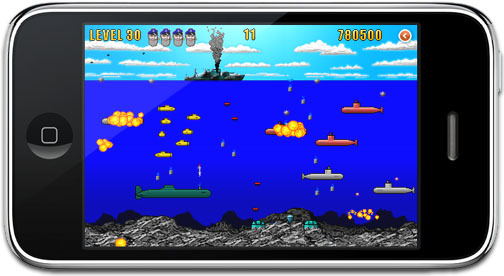 Destroy the submarines while avoiding the float mines, missiles and target seeking bombs and more! Tilt, tap and swipe to release and throw depth charges and sweep away 50 action packed levels, in three play modes. Start off as a Sailor Boy and work your way up to Admiral! 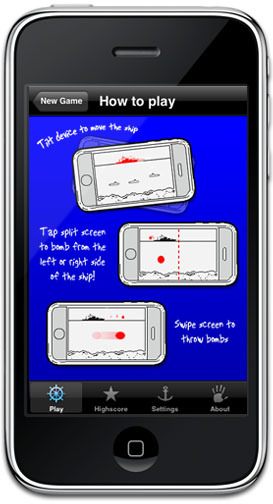 Tap screen to release depth charges - swipe to throw. Hit the enemies before they get you! Tilt, tap and swipe to master the game. Sold out, will be back in store soon..